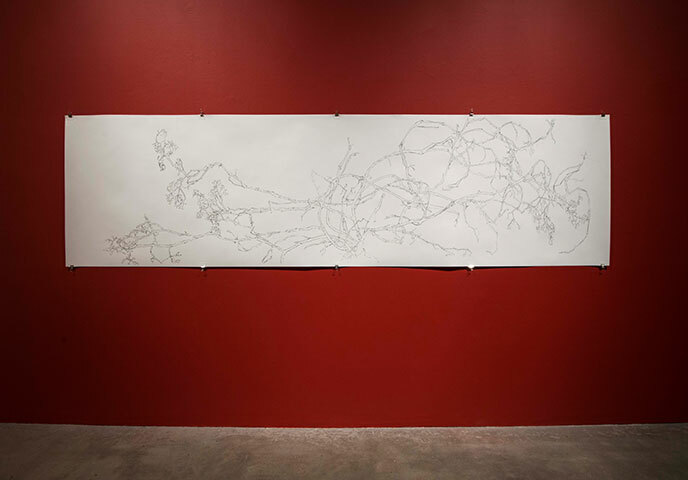 In the series Ripe, consisting of sculptures, prints, and digital films, the artist considers the history of genetic manipulation of tomatoes from their origin in the Andes and early cultivation in Central America (“tomato” derived from the Nahuatl word for “swelling fruit”) to contemporary Florida, where politics dictate their aesthetic features. The botanical term “indeterminate” refers to a category of plants that grow and fruit throughout the season, uninterrupted, until their full predetermined architecture is reached. 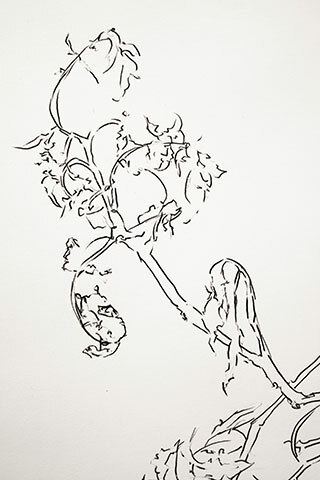 In Indeterminate (Before human), the artist considers the original plant found by humans at the base of the Andes, a gangly vine that crawled along the ground, fruiting tiny, unseen berries, uninterrupted by culture.